Russian freight train from Russia to China. Thanks to the implementation of infrastructure projects within the framework of the Eurasian Economic Union (EAEU), Russia claims 15 percent of the total cargo turnover between Europe and China, Alexander Misharin first vice-president of Russian Railways said at an investment forum in Sochi this week. 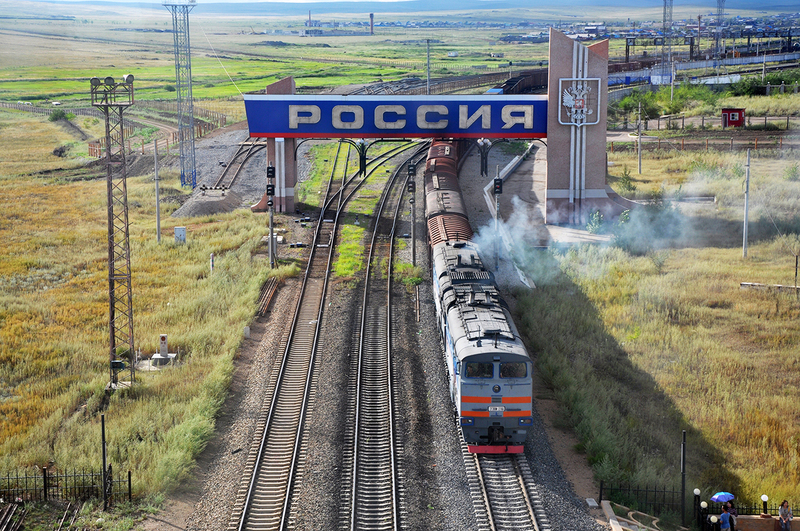 The Russian government plans to invest $43 billion to upgrade its railway infrastructure in order to benefit from growing freight traffic between China and Europe, a senior official from Russian Railways said this week. Russia can benefit enormously from freight between Europe and China, as many of Beijing’s rail shipments will cross the territory of the Eurasian Economic Union (EAEU), first Vice-President of Russian Railways Alexander Misharin said at the Sochi-2017 investment forum on Feb. 28. “Within the framework of the EAEU, we have the possibility of implementing major infrastructure projects in Russia worth 2.5 trillion rubles ($43 billion) in the next 5 years,” Misharin said. According to him, the investment is meant for reconstruction and upgrading of Russia’s major transport projects such as the Baikal-Amur Mainline, the Trans-Siberian Railway and connectivity projects to the Baltic and Black seas. “Today, through the EAEU, we can claim 15 percent of the amount in tons of the total flow on this Europe-Asia corridor. But these are high-margin cargoes, the value of which amounts to 40 percent of the $600 billion of trade between Europe and China. It can rise to 50 percent,” Misharin said. At the forum in Sochi Misharin also presented Russian Railways’ plans of building a high-speed rail corridor that will connect China, Russia, and Kazakhstan with a transport hub in Berlin. The growth of e-commerce is leading to a change in the structure of goods that are being shipped overseas, he said, adding that terms and conditions of delivery will play a big part in a buyer’s decision-making process. According to Misharin, in the future cargoes from China will be able to reach Europe in 3 days. He added that Russian Railways signed a Memorandum of understanding with the Chinese government and the representatives of the Chinese Railways on Feb. 28, which involves the creation of a 10,000-km high-speed corridor. The Chinese part of the corridor, measuring 4,000 km has already been built. The first phase of the Russian part, which comprises of the Moscow-Kazan section, is yet to be built. According to Misharin, the cost can go up to 10 trillion rubles ($172 billion). Currently, the United Transport and Logistics Company (UTLC) of Russia, Belarus and Kazakhstan transports 100,000 containers from China to Europe. According to Misharin, by 2020 there are plans to carry up to 1 million containers. “We have now reached the level where we compete not on transport but customs policies as well,” Misharin said. “Customs regulators on the Russia-China and Kazakhstan-China borders compete with counterparts in Hamburg and Rotterdam. European businesses positively assess the prospects of a transport corridor between Europe and Asia.